Well times have been busy with so many new and exciting products to test. Testing of the new 18" mono open design coil as pictured above, has been very successful, resulting in recent listing on our site, This coil is still sensitive to sub gram nuggets and packs a punch on depth. 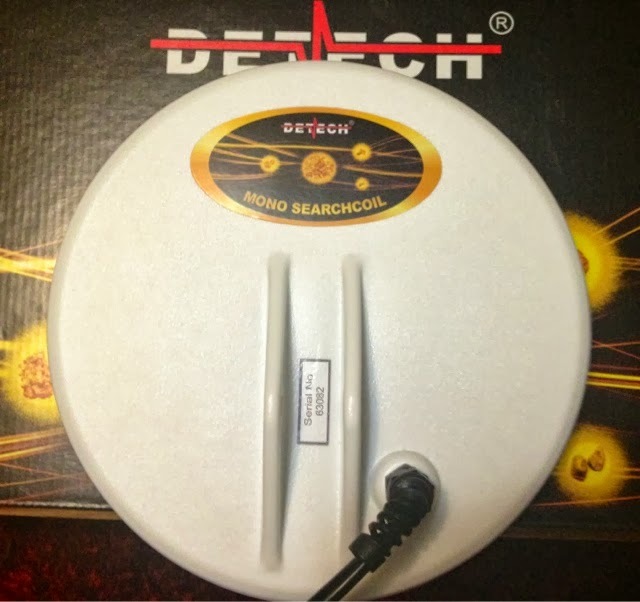 Totally new to Detech is the 8" mono show below, strong mount and robust construction, to handle the knocks and bumps when working an area hard to clean up those small nuggets left by others. This coil will be listed very shortly and will be priced favorably to compete. 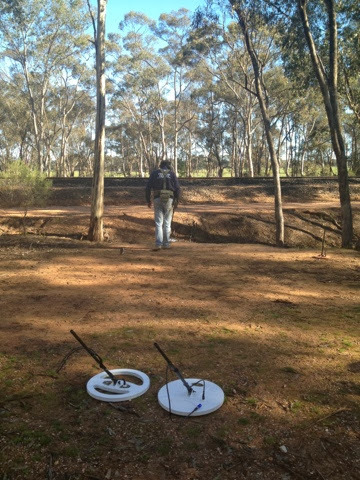 We've also been testing the Detech EDS Winner & the EDS Plus 2. Both of these are VLF machines. Which have proven to be great contenders in this part of the market. The Winner is full auto ground balance , a true switch on and go machine, complete with nugget hunting settings and discrimination for coin shooting. 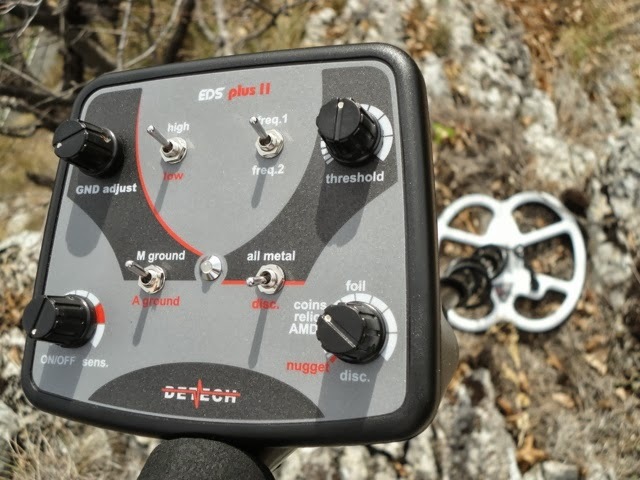 The EDS Plus 2 has manual ground balance in all metal mode, and an auto mode as well. Managed to pick up 2 small speci's while testing. Well stay tuned as Detech still have more new coils to come, a new mid sized elliptical mono , and a large elliptical Mono.